Baba ghanoush is one of those foods that's as fun to eat as it is to say. 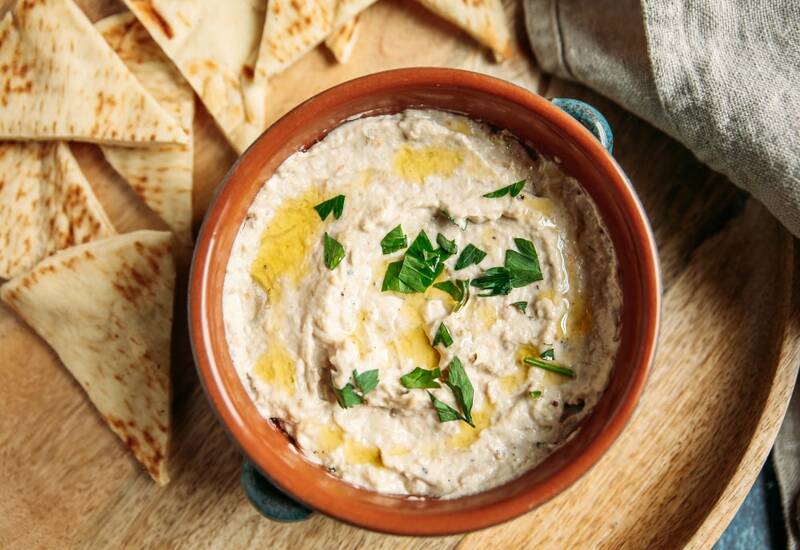 You've probably devoured this dip at Middle Eastern restaurants and now here's an easy baba ghanoush recipe that you can make at home. All you need to do is broil eggplants all over until they've slumped down into a soft, purple puddle. Then you scoop out the flesh to mix with the remaining ingredients. It's so creamy, earthy, and super satisfying, you'll be tempted to eat it by the spoonful but try it on warm, pillowy pita, or as a spread for a veggie sandwich. You'll get a good amount of smoky flavor in this baba ghanoush recipe. If you're craving even more smoke, grill the eggplants for 45 minutes to 1 hour instead of broiling in oven. Per Serving: 96 calories; 5g fat; 11.5g carbohydrates; 3g protein; 1mg cholesterol; 68mg sodium. Authentic tasting ghanoush! I can't decided between this and hummus, which I like more. That's why I serve both! My party guests love it. This was really good Baba Ghanoush, very authentic tasting. We've tried it both ways, grilled and broiled. I definitely prefer the grilled method, but both are fantastic. Made these for a company potluck and paired them with pita crackers. Everyone loved them. Eggplant is so underrated, I think I created a few new fans.